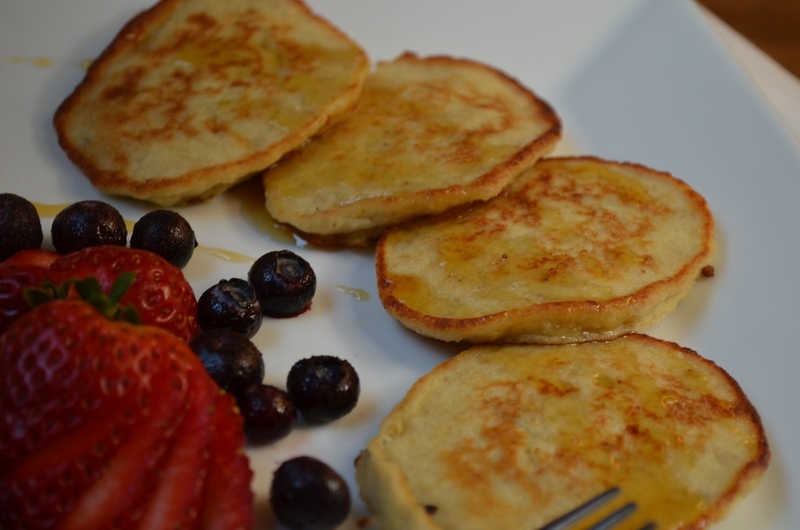 Find out which 3 ingredient makes "Banana Pancakes" totally Gluten Free. In another bowl add in 1Â½ large bananas. Lightly mash with a potato masher or a fork, but not too much. There should be chunks of bananas to make fluffy pancakes. And use only ripe bananas.